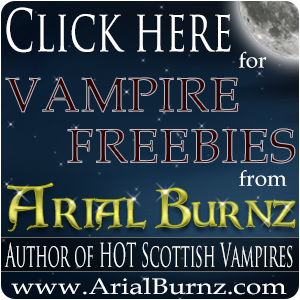 Arial Burnz » Contests » VIP Club Exclusive Giveaway! « Outlander, Shifter Boxed Set and Giveaways! Okay, my lovelies!!! It's time for an exclusive VIP Club giveaway! I'm at 956 likes on my Facebook Page and I would love to see that reach 1000. So I'm having a sale on Midnight Hunt (eBook) for 99 cents AND I'm having a giveaway!! In partnership with the Wolf Pack Reader's Group on Facebook, I'm dropping the price of Midnight Hunt (eBook) to 99 cents from July 7th to July 13th, 2014. I'll be posting links on my Facebook page for the sale. Support Indie authors and buy direct whenever you can. The sale will be on my website, too, and you can use Amazon Payments to purchase. Anyone who buys through my website will automatically become a VIP Club member, and thereby entered into this giveaway and future VIP exclusive giveaways! Oh, and while you're at it, if you LOVE shifter romances, then you MUST join the Wolf Pack Reader's Group. <— Click here to visit their group and join! They are 1,758 members and growing!!! Books 1-3 of the Bonded By Blood Vampire Chronicles – signed trade paperback copies AND a $25 gift card for either Amazon, B&N or iTunes (winner's choice). You must be a VIP Club member in order to qualify for the drawing, so if you're not a member yet, CLICK HERE to join. It's FREE! And if you'd like to know about the benefits of becoming a member, click here. To increase your chances of winning, visit this Facebook link and SHARE the post, encouraging people to like my FB page. FB shows everyone who shares the post, so each of those names will be cross referenced against my VIP Club list and given another chance to win. You can also Click to Tweet and earn even more chances to win. Be sure to mention me in any other tweets that encourage people to like my FB page, as those will all count toward entries. You can use these Click to Tweets daily for extra entries. You'll get an entry for each tweet. The goal is to get my FB page to 1000 likes, so as soon as my page hits that number, I'll conduct the drawing. The more you spread the word, the faster the numbers will climb and the sooner I can do the drawing. Let me know if you have any questions by leaving comments below. 11 Responses to VIP Club Exclusive Giveaway! I sent you an e-mail asking some questions about exactly what problems you’re having. Let me know if you did not get the e-mail, as I haven’t heard from you yet. I’ll be happy to help you iron this issue out. Ah! I see. The file that is downloaded from my website is a in a ZIP format. WooCommerce shopping cart does not allow me to load or make available the raw files (e.g., PDF, mobi, ePub, etc.) and must be in a ZIP file. With that being said, did you unzip the file and extract the PDF inside the ZIP? If not, then that could be the problem and I apologize for the inconvenience. 1. Save the ZIP file you downloaded to your computer where you can easily find it. 2. Double-click on the ZIP file to open it. Windows or Mac should have a built-in program that can handle ZIP files. 3. Usually in that program, you have the option to “extract” the PDF contained within the ZIP. Extract the PDF to a place on your computer where you can easily find it – probably the same place you saved the ZIP. 4. THEN you can load the PDF into the Kindle app. Since you have the Kindle app, I’m assuming you tried to use the file on a smartphone or iPad? if so, you may have to e-mail the extracted PDF file to your mobile device before you can load it onto your Kindle app. Another thing I might suggest is download the MOBI or PRC version (which will also be zipped, so you’ll need to extract it just like the PDF), and e-mail that file to your device. The MOBI and PRC files are more compatible than the PDF files. That article tells you how to set your e-mail address (or anyone’s) as an approved sender of documents and how to find the e-mail address Amazon assigns to your Kindle app/device. Once you’re an approved sender, just e-mail the file to your Kindle’s assigned e-mail address and VOILA! It’s on your app! You’re not the first person to have problems with this, so I will definitely be adding this to my FAQs page AND trying to include some of these instructions on the confirmation e-mails, so thank you for bringing this to my attention. If you’re still having problems, please let me know. If you send me the address to your Kindle (which you can find out in the above-linked article), approve me as a sender and I can e-mail the file to your device. Excellent!! So glad that helped. Enjoy!! Just signed up for the VIP club today. 🙂 Shared the Facebook post, and tweeted all the tweets under @xbrookeb28x So excited to be here. Thank you, Brooke!!! So glad you’re here, too! You are definitely in the drawing for the books and the gift card. Thanks so much for helping me spread the news! I will be contacting you via e-mail shortly to let you know about your prize and get your mailing information. Everyone, please give Anne a warm congratulations for winning!! While I’m at it, I’m going to give away 3 eBook copies of Midnight Captive to some runner ups…. Congratulations!!! 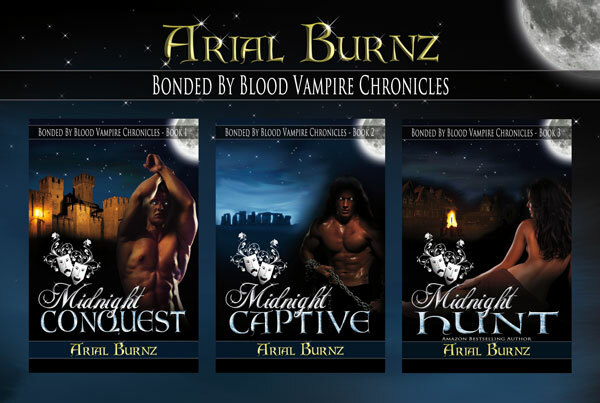 (If any of you already have Midnight Captive, you can either choose one of the other two books OR you’ll get a free copy of Midnight Eclipse – Book 4 – when it comes out this fall). Thank you everyone for participating! Let me know if there are any questions.